There are two different types of IE tasks. The first type is based on JSP technology (file-ending *.jsp). This enables you to run that task in a browser. 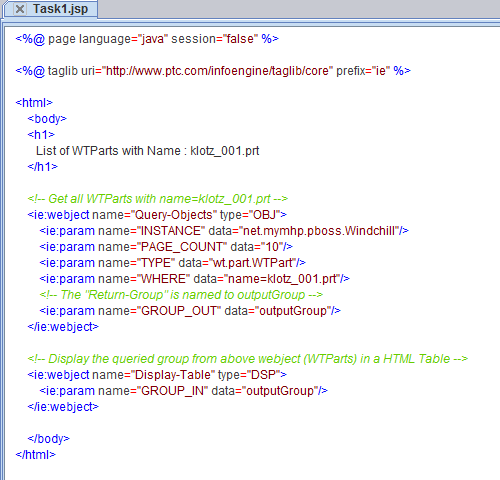 The second type is a „pure“ IE task (file-ending *.xml). To switch back to production setup, just replace mode=dev with mode=prod. Then (re-) start your Windchill Server. The task has been executed successfully.